When you are far away (60-100yds) from small structures and rocks in the game, they will fade out. This leaves room for you to see objects within or around them easier. 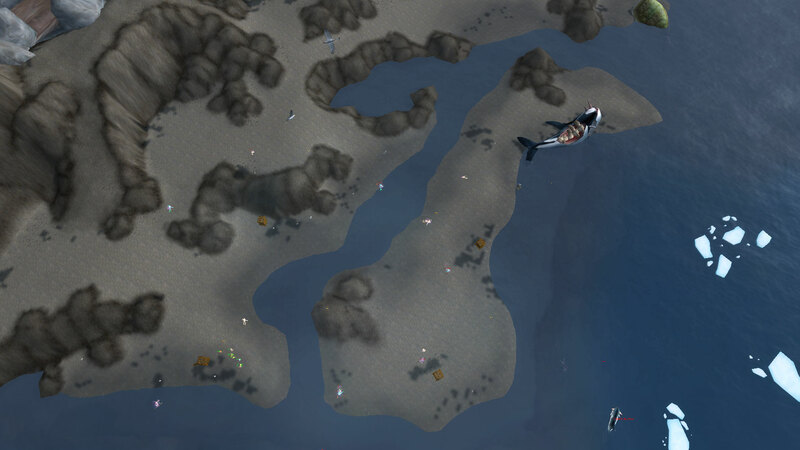 You can see the Winterfin Clams, cages, NPCs on the screenshot, but not any huts or debris.